This particular feature enables you to grant another Bitmovin account access to your own Bitmovin account. This is done by adding an user’s Bitmovin account to a so called “group”, which holds one or more permissions. It enable you to control, which action a user or group of users can perform in your account. 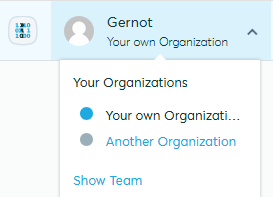 Each Bitmovin account, or User, comes with an organization it belongs to. Each organization has groups, where other Bitmovin user accounts can be added to, to grant them access to your own Bitmovin account. 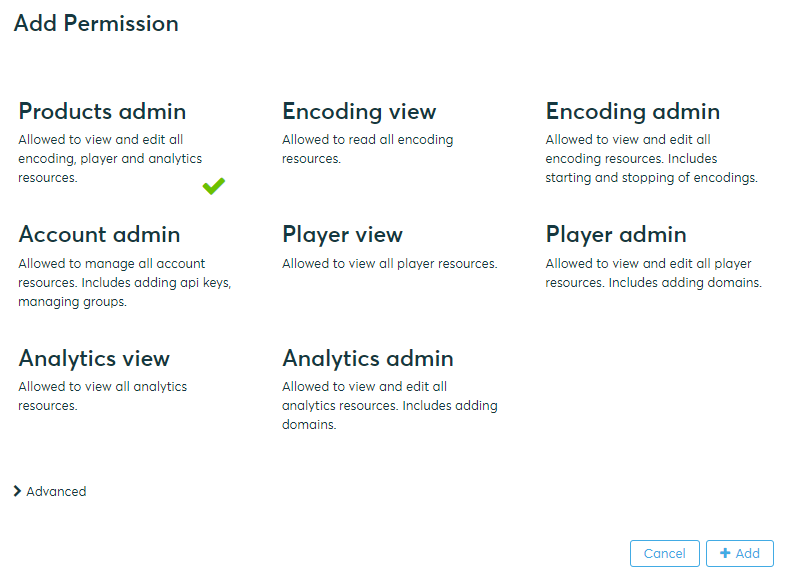 These groups hold a set of permissions, so you can control what can be done by those users in your account. You can grant users access to your account, by adding them using their email address of their own Bitmovin account. If a user doesn’t has an Bitmovin account yet, please ask him to sign up and activate the account first. A new dialog will be opened. Its recommended to use a descriptive name and description, so it is easy to see what set of permissions are configured for this group. 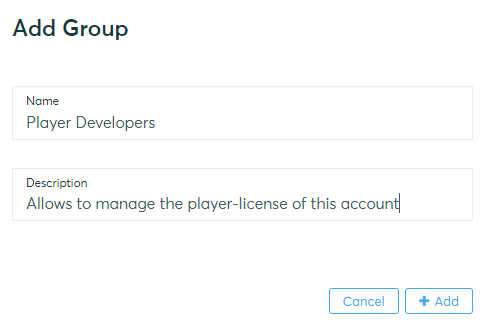 By default, if no permissions are added to a group everything will be denied. So, by adding permission you can whitelist specific actions that users of this group are allowed to perform.